Can you fly with needles? Get ready for Yarn Crawl! Okay, we have been thinking about Yarn Crawl since last year's Crawl ended, but now we're almost ready for this year's Crawl! You can now jump to the head of the Passport line and order your passport ONLINE! Passports are $15, including tax, and available here! If you want us to ship your passport to you once it arrives, you'll have to purchase shipping here. If you don't purchase shipping, your passport will be held for you at Yarnivore to pick up when they arrive (early September). What's Yarn Crawl? Follow this link for all the details! 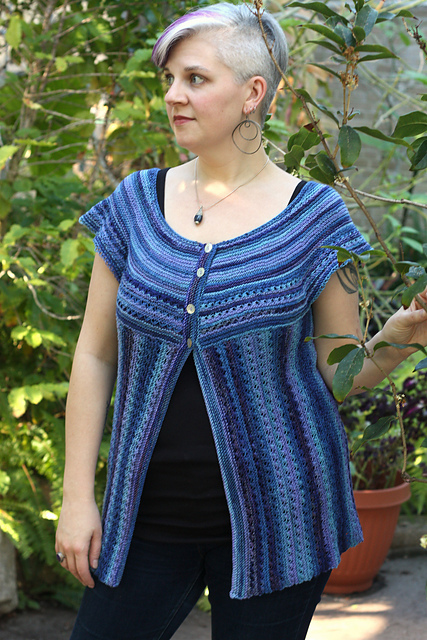 This breezy, short-sleeve cardi can be worn over a long-sleeved t-shirt to provide a little extra warmth in cool spring weather, or could be worn over a tank top or cami in warmer weather. Pip is a FREE pattern by Alison Green found at knitty.com). Yarn recommendation? We like the yarn the designer used - Berroco Medina, a long-color-run cotton/rayon blend that feels gorgeous and will keep you nice and cool! 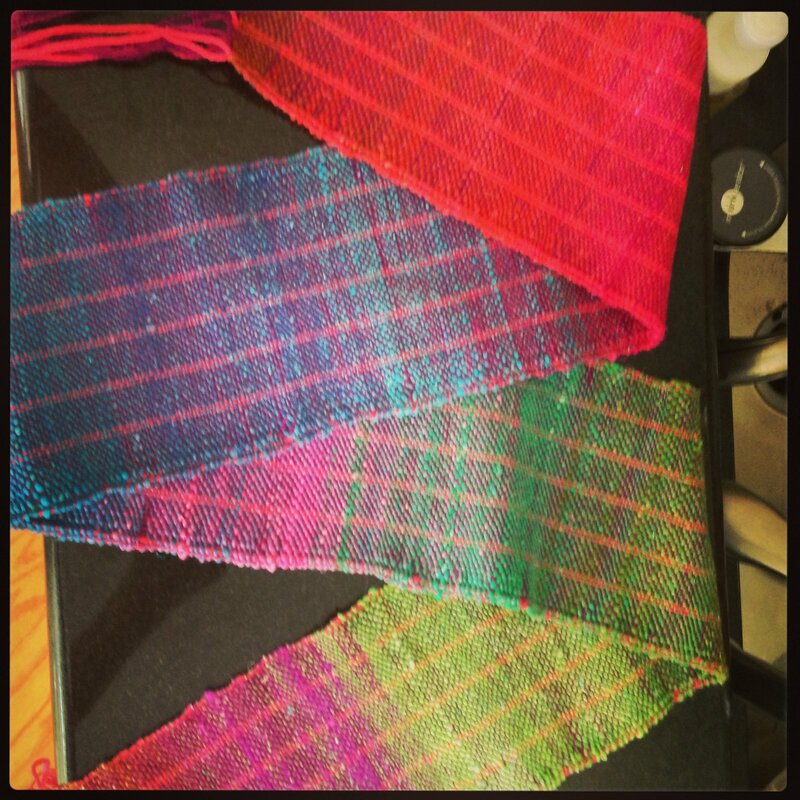 The new Interweave Knits is here! This is our favorite knitting mag by far. We apologize - last week's newsletter gave the wrong date for the Kid's Top-Down Sweater Class. It's actually starting THIS coming Sunday, August 12 at 3 pm! We're very sorry! Can you take your needles/hooks on an airplane? For flights within the US, the answer is YES! Here is a page from the Transportation Security Administration saying that knitting needles, crochet hooks, sewing and embroidery supplies are allowed through security. HOWEVER - these rules only apply to US flights or flights originating in the USA. If you're traveling abroad, please check with the airline to see what will and won't be allowed on foreign flights. THERE ARE TWO SEATS LEFT! 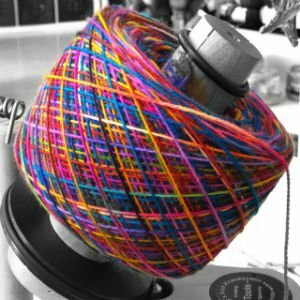 Every week, you'll learn a new knitting technique as well as learning to read charts, choose colors, pick up stitches, sew invisible seams, and more! Learn to make socks from the toes up, so you always have enough yarn to cover your feet! This worsted weight sock is thick and warm, perfect for wearing around the house, or as a boot sock. You don’t need to have any sock knitting experience. You’ll also learn to knit in the round using the magic-loop method in this three session class. There are lots of baby sweater patterns and lots of women's sweater patterns, but not much for kids and teens! In this class, you learn to make a top-down raglan sweater that will fit the kids in your life perfectly! You'll also get tips on altering the sweater as the child grows. Works for kids from toddler through pre-teen sizes! This gorgeous style of color knitting is traditional in MANY parts of the world, from Turkey & North Africa to Northern Europe! It's much easier than it looks. 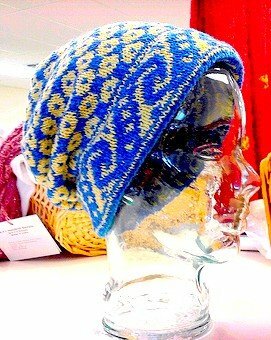 Wendy will teach you how to work with two colors at once while you make this beautiful hat!